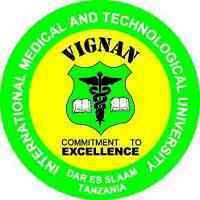 The International Medical and Technological University continues to strive towards its mission in providing quality education, research and service to the community to be among the best Universities in Tanzania. To enhance this goal we are looking for outstanding professionals with demonstrated record in teaching, research and outreach. In continuation of our efforts to recruit qualified teaching staff applications are invited globally from qualified candidates for the following positions. All these positions carry competitive salary and benefits consistent with the university human resource guidelines. For consideration send your complete application with a cover letter, current CV, three professional referees, and passport details to the following. Based on qualifications and experience an academic title (Lecturer, Senior Lecturer, Associate professor or Professor) will be determined. Applications will be accepted till these positions are filled. Source: The Guardian 18th March, 2019.